I had been taking a bit of a break from Destiny but have jumped back in with the release of the second expansion, the House of Wolves. My RL friend (32 Titan) and I (28 Warlock) have been two maning most of the new content and really enjoying it. The Rift is a nice new social area that looks great and I can see myself heading there over the Tower. The quests have been challenging with the enemies levels ranging between 26-30 but we have been taking our time working through the new environments. The venture into the Vault of Glass in a quest was fun since I don’t see myself ever attempting the raid. Some of the bounties I have been having problems taking down the last guy before the time limit runs out and he leaves. I was doing the Dervis, Wolf Baroness bounty on Earth with 2 other players when the final boss got bored and left when we had him down to 20% health, grrr. 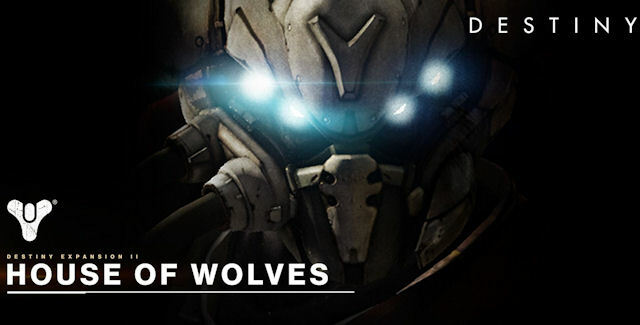 Overall House of Wolves seems to be a nice little addition to the Destiny universe. The new quests are challenging but manageable if you are willing to take your time. I am not a huge PvPer but I hope to try out the Trials of Osiris this week. My skill level in first person shooters leaves a lot to be desired so I don’t see me unlocking any of the nice new PvP items anytime soon. Let me know what you think of House of Wolves by posting a comment.